Zambito Search Group (ZSG), is a leading search firm specializing in professional level, middle management, and executive search. ZSG was founded in 2002 by John Zambito, a nationally recognized recruiting expert. The firm identifies and places top performing individuals in the steel/manufacturing, construction/engineering, and banking/accounting/finance industries throughout the country. 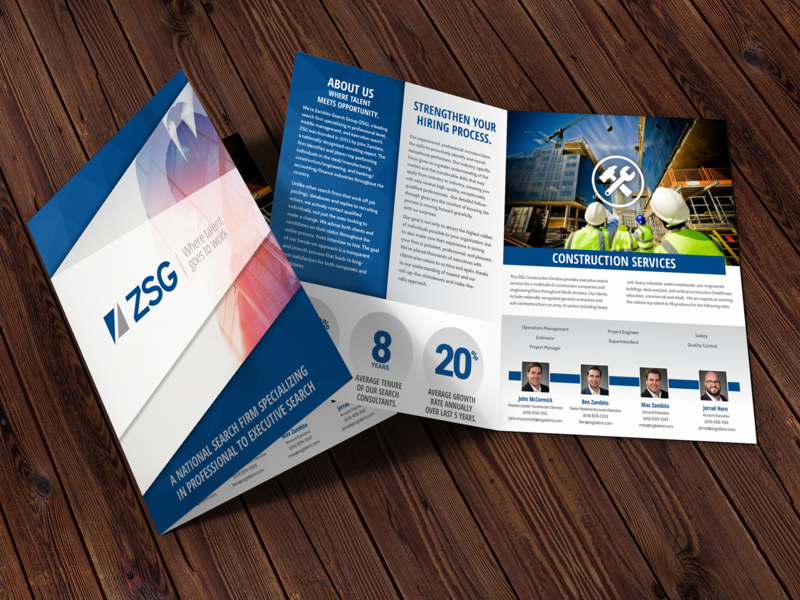 Our team designed and launched the new ZSG brand including a new logo, website, new 4 page brochure and social media branding package.